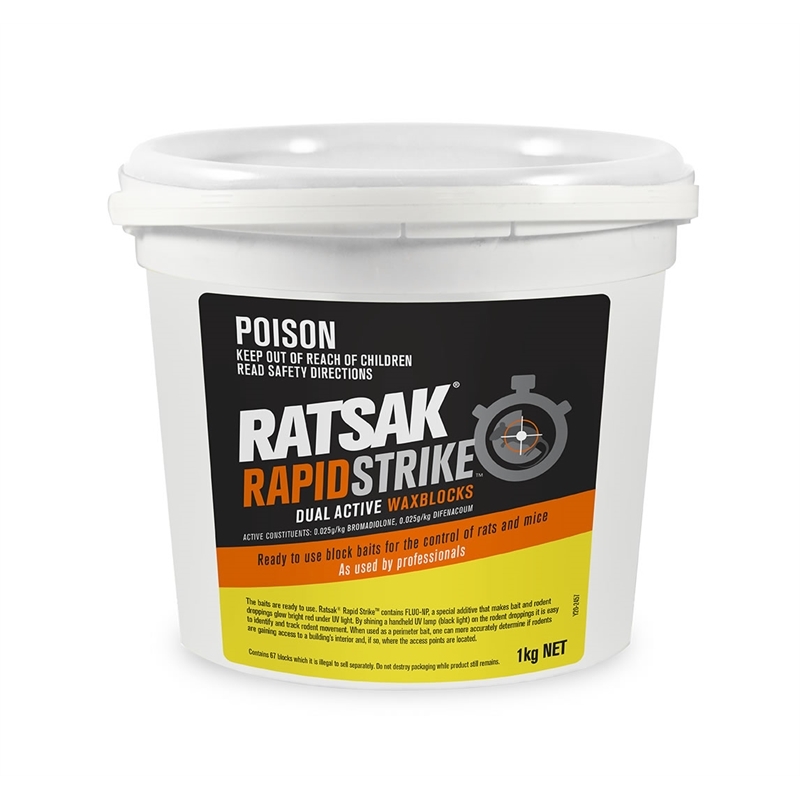 RATSAK® Rapid Strike™ Dual Active Wax Blocks are ready to use block baits for the control of rats and mice. 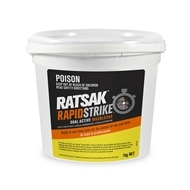 RATSAK® Rapid Strike™ contains FLUO-NP, a special additive that makes bait and rodent droppings glow bright red under UV light. By shining a handheld UV lamp on the rodent droppings it is easy to identify and track rodent movement.